Fresh food, gluten free, keto diets, and clean eating are all current trends that a majority of people are following. Eating healthy is in right now; it doesn’t matter what part of the United States you live in because people want their healthy food and they want it for a good price. With obesity rates skyrocketing, it’s no wonder that people are taking more of an interest in what’s going on in their bodies. Healthy eating will lower your risk for a lot of hazards in your body. From decreasing your chances of cancer to improving your immune system, fresh foods and healthy eating will allow you to live a higher quality life. In addition, eating healthier will help you reach your weight-loss goals. Take the time to check out some of the departments at Joseph’s Classic Market to see what we can offer you. In addition, we offer an array of weekly and weekend specials for those who love a good deal on fresh foods. 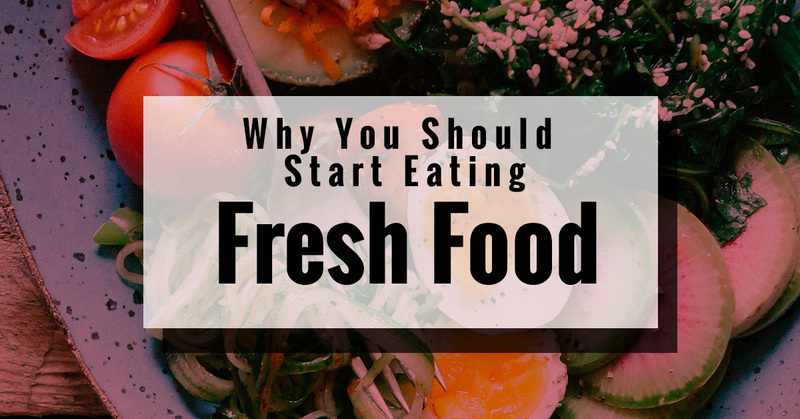 In today’s blog, we’ll be going over some reasons that will enlighten you as to why you should eat fresh foods. Healthy eating is something that can take many years to perfect. Healthy eating doesn’t mean cutting out everything you like, but learning how to form a positive relationship with food that will allow you to enjoy what you love without overdoing it. It’s about learning self control and listening to your body when you want that piece of chocolate. These reasons will help you start focusing on more of a healthy lifestyle. One of the reasons that you should enjoy eating fresh foods is because it’ll make you happy. Fresh foods such as apples, broccoli, spinach, and oranges will help make you happier because there is no sugar or trans fats in the fruits or vegetables. Pastries, pies, cookies, and ice-cream are unfortunately filled with sugar and trans fats that can through your brain into a tailspin of depression. Foods that are high in omega 3s, vitamin D, and amino acids will combat depression and help to elevate your mood. Yes! You can get smarter by eating fresh foods. Fresh food is brain food. Fresh food also helps with cognitive abilities. Fresh food will create better functions in your brain. Foods that are filled with saturated and trans fats will reduce the amount of power your brain can produce. By eliminating those foods with a lot of trans fats and sugars, you’ll find that the functions in your brain are powering on high and you have a much clearer mind. Lastly, you’ll sleep better. Sleep is so important for your health. You need to get a full eight hours to feel well rested. If you eat right, then you’ll notice that you sleep better and through the night. In a 2013 research article in Appetite, research has shown that people who ate a wide array of foods with antioxidants and drank a lot of water were able to sleep better and through the night. Are you interested in eating fresh foods? Come down to Joseph’s Classic Market to stock up. Every day, professionally-trained chefs prepare over 60 dishes of restaurant-quality entrees and side dishes with an Italian comfort foods sensibility. Joseph’s brings the deli to a new level with the finest meats, fresh-made salads, and hot dishes, prepared daily. Were ready to provide you with everything from Deli sandwiches to a full-course meal from our wide selection of Italian favorites Salads, Appetizers, Entrees, and Desserts. ©2017 Joseph's Classic Market™ - Do not copy. All rights reserved.